Massage therapists often ask for survival tips for growing a practice in oncology massage therapy. Here, we offer the first of occasional “Featured Teacher” posts about successful OMT practitioners among our instructors and colleagues. 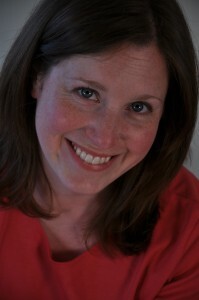 Erika Slocum has been teaching oncology massage therapy with us since 2011. 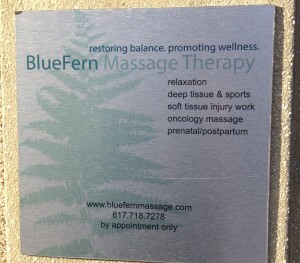 She co-owns an expanding practice, BlueFern Massage Therapy, with her business partner Jennifer Green. They have specialized in oncology massage, prenatal massage, and orthopedic techniques since 2009. Unable to keep up with the demand by themselves, she and Jennifer have hired three additional MTs at their office at Blue Fern Massage outside Boston. What makes BlueFern a successful practice? We are 100% focused on quality of work above everything else. We really want quality of touch and quality of care, and that’s been more important than rebooking every person that comes in or doing a ton of marketing blasts. We pay attention to each and every detail of the client experience: Time (60 min. hands-on) and full attention on the client. How we greet them. Addressing their requests and needs in the session while balancing against any massage contraindications. Communicating with warmth and connection. The appearance and upkeep of our treatment rooms. Ease of online booking. The small things as well as the big things. Admittedly, we’ve fallen short on social media and newsletters and blogs, and yet we feel very grateful to have enjoyed the increase of new clients year upon year and more repeat clients. What else contributes to your growing practice? We treat everybody individually and look at their individual health picture, what their needs are, how they are coming to us that day. We’re the furthest thing from the one-size-fits-all massage therapy plan. We’re also happy to refer not only to other therapists within our business but to other bodyworkers who might be a better fit. I feel those referrals come back to us—building relationships with other practitioners. It means they think of us when they have a client with cancer or another complex medical condition. You have several MTs working for you. Tell us how that works. Yes. We have three therapists in addition to the two of us, and we continue to expand. We have great people working for us! We recently began a training program for our staff. As in any busy office, we feel like there’s a need to review and strengthen our protocols and procedures from time to time, because our client populations expect us to handle more complex medical conditions. We have this reputation, possibly because we offer oncology massage and the word gets around. To that end, all of us met to go over conditions that we commonly see in our practice—things like cardiovascular issues and cancer—to talk about how to address these kinds of issues. How do you NOT send someone away? It’s about having a protocol in place for someone who doesn’t specialize in oncology massage, but that gets someone to the table safely, the person still gets a good massage, the therapist still gets paid for said massage, and everyone goes home safe and happy. We’re excited about the work we are doing with our staff MTs, and we think it’s really important. What is the makeup of your practice? How many oncology massage? At BlueFern, I have been working with most of the oncology/medically complex clients myself, and I’d say it’s about 45%, and it’s growing. Every year, it seems like more and more people are checking the box [on the intake form] saying that they have cancer or cancer history, maybe increasing in increments of 5-10% a year. My business partner, Jen, who also trained in oncology massage, has been increasing her work with this population as well. There are many reasons to specialize in oncology massage. It’s really rewarding work. 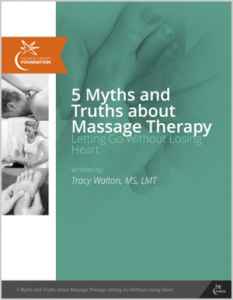 But also, from a practical perspective, being able to work gently extends longevity in massage therapy. The work is easier on our bodies, especially as we’ve been in this profession for longer and longer. What are some of the challenges of oncology massage? I think delivering those messages is hard. I can’t say I have this perfectly figured out yet. But sometimes there’s information you need to go forward and work safely, and sometimes you need to ask them to go back to their doctor and pursue answers to that, and in some cases, it can be an emotional and sensitive thing to ask. One thing I have gotten better at is how to be with someone when they are going through something really difficult. I remember one of the first clients I saw after my training. She had advanced disease and a poor prognosis. I was still kind of new to the work, and she was talking about what was going on for her, and I remember just sitting there and staring and thinking… “What do I say? What’s the right thing to say? Oh my gosh, what do I SAY?” And I got stuck and basically couldn’t think of the right thing, so I ended up really not saying much of anything. And then some point along the way, as I kept trying to figure this out, I realized that the “right thing” is probably exactly that—nothing. To not say much of anything. One of the easiest things to do is not say anything. One of the hardest things to do is not say anything. Just be present. Just listen. Don’t use platitudes. Don’t say, “Everything’s going to be fine” because what if it’s not…and in the moment, for that client, things are not fine and it’s important to honor their experience.. That’s been an important thing to learn. Is there a client or client population that really inspired you? Many. But right now I am thinking of one client I remember well. I worked with her a handful of times before she passed away. One thing I really appreciated about her was that many times when she came into my office, she just cried. And I got the sense that she wasn’t allowing herself to do that outside of my office or at least not as much, because she had people and family to take care of. The client had a wonderful, delightful spirit, and I appreciated that even though she didn’t know me very well, she let her defenses down and cried. There’s something so inspiring to me that someone puts their trust in you…that they know you’re not going to judge them, and I was grateful that she felt she could do that safely with me. Here’s a practical question: What do you wear to work? Most of the time I wear all black – because it doesn’t show stains! I keep everything at my office – we have a pile of black GAP T-shirts and a pile of black yoga pants that have pockets so they look like trouser pants, and clogs, and they’re all the same! Which online scheduler do you use? MindBody. They are set up so you can move toward a paperless office. The system is secure for storing credit card information but it is also HIPAA compliant so we were able to move to electronic charting. When you’re expanding, every bit of physical space counts. There are so many things. But one thing that stands out? Curiosity. Our students have a curiosity that they bring with them into the classroom, and you can almost see the questions they have carried in their eyes. I love that curiosity, and I share it. Share a favorite memory from the classroom. As difficult as this topic can be, we have a lot of fun in the classroom. I’ve had many favorite moments. I’m thinking about a recent training in when there was some (understandable!) confusion with some of our massage protocols. There is some overlap between protocols, and sometimes it gets a bit muddled. I was teaching how to distinguish between them. It was a really fun moment because it seemed we were all in the confusion together, but they trusted me and kept listening to me plowing through, and we arrived at understanding together, too! What are some challenges of teaching? Learning the content is just where you start. Then you realize how layered the entire experience is, whether you’re thinking about starting and ending lessons on time, or thinking about classroom management, or you’re trying to be considerate of different learning styles. The layered experience of teaching is a lot more than I thought it was in the beginning. You really learn to multitask. And I’m still learning, every time, but it continues to be so much fun. Has OMT teaching taught you more about OMT practice? I always learn from the experience in the classroom. There’s almost always something new, some piece of information or some question that I have to look up. Also, students bring in their own experiences from their own practices and settings, and so I’m hearing those and thinking about how to fit oncology massage into those spaces, to think about things in that broader way. I feel like I am a better therapist after being in the classroom. There’s a reverence that falls over the students over those days, but it falls over me, too, and I actually love going into work the next day. I feel rejuvenated, refreshed, and ready to roll again. Thank you for sharing your stories. I live in Eugene and am a practitioner of oncology massage. I also contract with Hospice and see the effects of cancer daily. Massage for these people, in office or in home, helps them to feel connected, relaxed and like a “real” person. It definitely is tailored for each person and their circumstances. It does make a difference. You’re on the front lines, Julie! Thanks for your observations. Thank you so much for this article. I am at the beginning of my career and will really benefit from this advice. I never thought of the value of my practice as being a safe place to cry. Hi there, Kathleen: Good luck with your career! And if you think about it, one value that any of us humans offer to one another is a safe place to cry. I thoroughly enjoyed every angle of this article by Erica! Thank you for sharing your experiences, Erica. Best to you, Jen, and the therapists reaching out to all those who come to you! And Tracy, thank you for passing these words onto us! I feel part of a family of people trying hard to find, and develop, the core of what works for us and those going through the experience of cancer. To be of value to them is our goal. Sharing such thoughts, and experiences only advances us toward our goal. Lovely article. Reinforced what was learned in the training. I absolutely feel this is a good fit for me as it will allow me bring my nurturing gifts to the forefront, not just for oncology clients but for all clients. I feel working with populations that require special care helps us to become quality, caring providers. Thank you! Leeann: I’m always glad when the skills we use in OMT translate to other populations. Thank you, too! 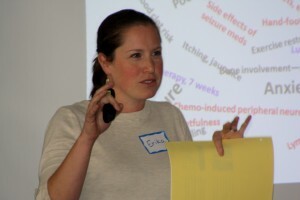 I just met Erika at a social event and am very interested in the oncology massage training. I’ve worked with many people with cancer and serious illnesses over the 20 years of my work as a Reiki master/practitioner. Would I be a good candidate for the course given that I use touch but am not a massage therapist? Thanks. Thank you for asking and glad you and Erika met, and so glad for your interest in this population. Our course is designed for Swedish/classical massage practitioners for the most part. Feel free to email our office through the website if you have further questions.